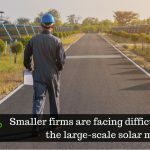 The installation of ground-mounted solar power system conjures up an image of large swathes of land overshadowed by the intense dark blue of solar modules, powering businesses, factories, and sustainable growth. 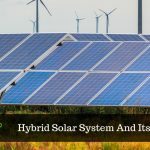 To raise the savings and enter into PPAs, several landowners are warming up to the idea of installing a solar power system on their land, as the appetite for solar energy grows in India. In the race to solarize our properties, the utility market has shot far ahead, standing atop the leaderboard. In a ground-mounted solar power system, the design engineers involved in the project directly decide the size of the project, tilt of the modules as well as site-specific technical specifications of cable lengths, locations and capacities of inverters, LT & HT panels, among other project intricacies, with all the solar power installed. However, these design factors are considered by the design and engineering team when a detailed study of the site is carried out. The ground-mounted project passes through a certain number of final phases that manages the speed and efficiency with which the plan gets prepared for a commission. As a result, the installation of the solar power system is complete once a detailed site survey is carried out by the solar EPC manufactures after the installation site has allocated and power consumption needs of the user have also arrived. However, at the time of site visit, design and engineering team involved with the project takes into account all the characteristics of the site that includes right from creating the design of the project to leveling requirements of the land. Efficiency can be discussed via various prisms-of the modules, the electrical components, and the design, among a few others. 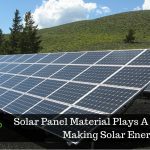 Harmonizing methods that maximize efficiency along with the broad processes that are involved in the installation presents the opportunity to envision a genuinely complete solar installation. Module Canopies of installation is ideal to maximize usage of land on which a ground mount installation is carried out. Modules installed in the form of canopies are significantly raised above the surface of the ground, allowing the space under the modules to be used. For instance, carports are systems where the area below the module canopies used as parking spaces. Conventional systems are the most commonly found systems wherein ramming or a pile foundation may be employed to affix the weight-bearing structuring to the ground. The support structure thus formed bears the weight of the module, as well as the back supports of the module. The back support of the modules designed to clasp the modules at the intended tilt angle. Arriving at the right type of foundation for the installation is a critical part of the design as it dictates the stability of the installation. Today in several solar installations, to follow the movement of sunlight during the day, the modules fitted with single-axis or dual-axis trackers that allow the solar panels to move about their clamps, along with the arc of their tilt angle. 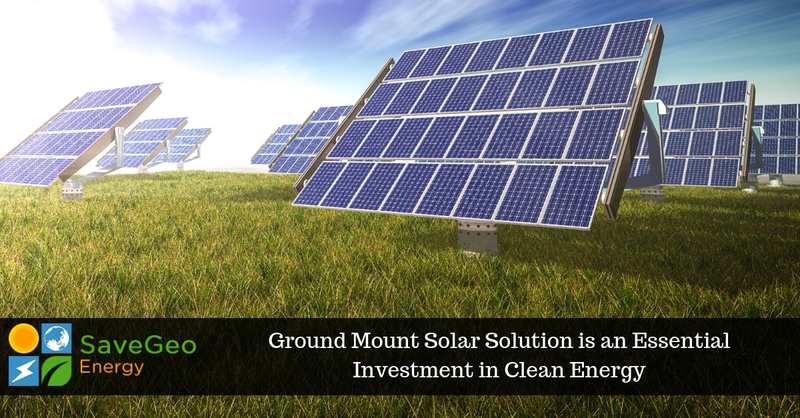 Ground Mount solar plants, therefore, are not only immensely essential investments in clean energy, but also generate savings for businesses, require sparse efforts in maintenance and reduce operational costs of large power consumers drastically, thereby securing sustainable growth for future successes. SaveGeo provides ground-mounted solar power system solutions designed and engineered based on the client’s site-specific conditions. With diligent project planning and accurate execution, our solutions are tailored based on the uniqueness of your requirement. We provide a wide range of ground-mounted solar power system offering freedom and flexibility to support PV modules of various types.